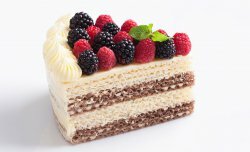 Wafer cakes became a huge cooking trend in the past few years. 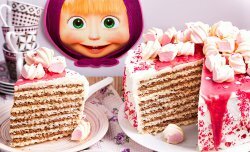 Just take Lekorna plain wafers and add the filling of your choice: buttercream, condensed milk, chocolate ganache, nut spread - and the dessert is ready. Simple and delicious! 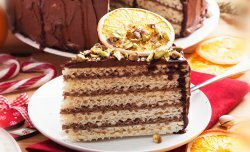 These layered wafer cakes or slices are called oblatne; traditionally a Croatian dish, they are quite popular in Ukraine, too. The possibilities for designing your own cake are endless: Add fruit and berries, marmalade, nuts, curd or just saturate these crunchy wafers with honey or syrup. This dish can be ready in a couple of minutes and needs no advanced cookery skills. The taste of this product goes perfectly with any dish you cook. Perfect as an all-family leisure activity. Keeps children involved. Both product shape and packaging have been specially designed for comfortable cooking. Lekorna goods are available in most regions of Ukraine and 10 countries of the world. This product is manufactured with in accordance with the international safety requirements.